In the previous article, we have seen how papal authority was in ignominious retreat before the aggression of the German liturgists whose goals lay far beyond the limits of any reasonable accommodation. The seriousness of the German Bishops’ 1943 challenge can be seen as the first of a series of challenges, each one of which carried with it an extra nail in the coffin of Catholic Tradition, culminating in the reforms of Vatican II. Confronted with an increasingly menacing international situation of anti-Roman hostility and wishing to avoid open conflict, Pope Pius XII adopted a conciliatory approach to the demands of liturgical reformers. His message to the German Episcopal Conference in 1943 was tantamount to saying: Continue breaking liturgical law and the Holy See will reward you with its prize of papal approval. It must be admitted that an overwhelming preponderance of evidence pointed to the futility of appeasement well before this date. With the rise of the Liturgical Movement in the Benedictine Abbey of Maria Laach in Germany in 1914 and the pioneering work of Fr. Pius Parsch in Austria in 1918, liturgical anarchy and ecumenical contacts were flourishing with impunity in the German-speaking lands. No amount of concessionary favors from the Holy See could have assuaged the hunger of the beast of reform: The German crocodile (1) was not content with a few scraps thrown in its direction. As everyone knows, crocodilians are predators with insatiable appetites. A careful reading shows that Mediator Dei (1947) is a “political” document which takes both sides of the debate, so that reformers and traditionalists can find support for their point of view and argue endlessly over which side best represents the thinking of the Pope. But was the outcome really so splendid? And were the liturgical leaders so admirable? To answer yes would be historically inaccurate and intellectually incoherent. By 1947, the new breed of Biblical scholars, theologians and liturgists had been engaged in liturgical experimentation on their own initiative for decades. (4) They had also succeeded, largely unmolested by ecclesiastical hierarchy, in propagating their revolutionary agenda in books, reviews, lectures, liturgical centers, study weeks and conferences. 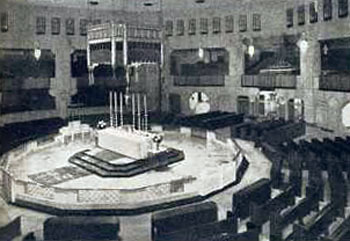 It is not without significance that a future Abbot Primate of the Benedictine Order, Dom Rembert Weakland, who inherited the avant-garde ideas of Beauduin’s Liturgical Movement, would be one of Paul VI’s personal consultors with regard to the Novus Ordo. (8) This demonstrates that the official reforms of Pius XII, no less than those of Paul VI, were tarred with the same brush, tainted from their Benedictine sources. It follows that Pacelli and Montini must bear the ultimate responsibility – each in his own way – for the unprecedented changes to the Roman Rite that they signed into law. 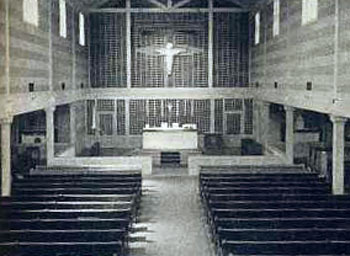 In the early part of the 20th century, unauthorized liturgical experimentation was conducted in secret, among a select few, in the crypt of Maria Laach Abbey, at monastic retreats, in university chaplaincies and societies of youth groups, among soldiers on active duty during World War I, on seafaring missions or among radical groups such as The Catholic Worker. Subversive ideas were spread in samizdat publications distributed from hand to hand or by word of mouth in small-scale conferences held behind closed doors. Let us not forget that this was Beauduin’s original stratagem. 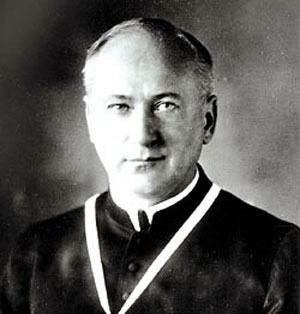 He had a clear, long-term goal in mind as cynical as it was malicious – to win support from Bishops and Prelates so that his revolutionary agenda would be imposed by “legitimate” authority, (9) (see here, p. 21) while the practice of traditional Catholicism would one day be turned into a prohibited activity by the same authorities. Prophetic, demonic or what? But what about Pius XII’s criticisms in Mediator Dei of liturgical abuses and the faulty theology that inspired them? As these mildly expressed rebukes did not reveal a resolve to deal appropriately with the offenders (who either ignored or denied them), they were taken to be a display of weakness – as if to say the Church did not take too seriously her own liturgical laws. The ease with which the reformers could get away with breaking the law was a huge incentive behind the Liturgical Movement. 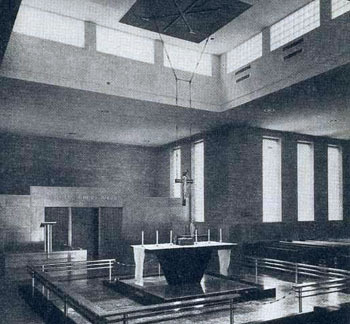 In the absence of tough-minded measures against the dissidents, it became clear to them that the possibility of a far more drastic reform of the liturgy was being opened up under Pius XII than had hitherto been dreamed of. In fact, as we shall see in the next article, the 10 years following Mediator Dei saw the Pope steadily succumbing to their demands and entrenching some of their reforms in the Church’s liturgy. They would soon gain everything they had been fighting for, and much more besides, after Vatican II. It was Pius XII’s profound ambivalence that made effective control of the Liturgical Movement impossible. Whose side was he really on? Opposing factions claimed victory. 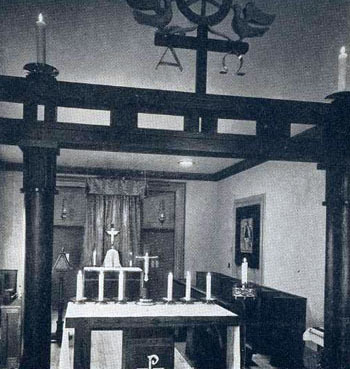 But the claim for the traditionalist party rang hollow when they found themselves abandoned to the tender mercies of Bugnini who was given the executive role on the 1948 Commission for the General Reform of the Liturgy by none other than Pius XII himself. 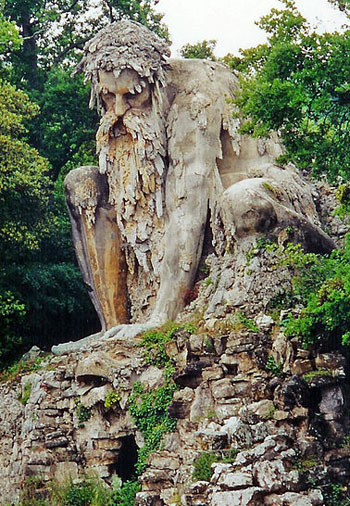 The reference is to the massive 16th-century Italian sculpture known as the Colosso dell'Appennino or the Appennine Colossus created by the artist Giambologna. The giant statue sits brooding over a pool, staring into its murky depths like a malevolent spirit. Its body contains a number of interconnecting chambers while inside its head there is a sort of fireplace which, when lighted, emits billows of smoke from its nose. Beauduin fuming against Catholic Tradition? A. Bugnini, The Reform of the Liturgy: 1948-1975, The Liturgical Press, 1990, p. 11.